Liberals: Identity Politics Still Trumps America’s Best Interest! Ed Asner’s explanation for Hollywood’s silence regarding Obama attacking Syria epitomizes the absurdity and danger of political correctness and identity politics. Ironically, Hollywood progressives find themselves slaves of their own emotion driven brain-dead loon-icy. Hollywood along with Democrats and the mainstream media have declared all opposition or criticism of Obama racist. 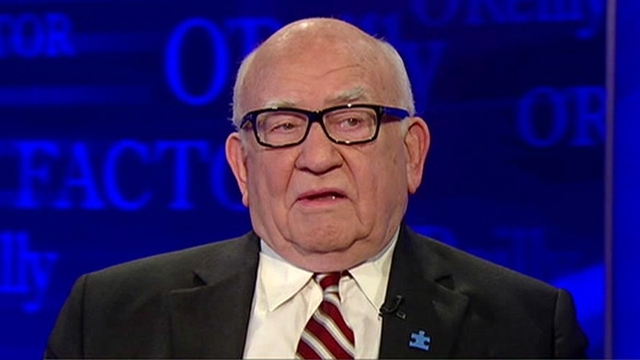 “A lot of people don’t want to feel anti-black by being opposed to Obama,” said Asner. Excuse me! They don’t want to “feel”? Dear Lord, while we adults are discussing national security, Democrats (Hollywood Progressives) are still obsessed with feelings and protecting the first liberal black president. This is why it is crucial that voters send “adults” to DC who will put the best interest of America, first! Democrats, Hollywood and the mainstream media’s super sensitivity to racism and sexism only applies to liberal Democrat blacks and women. Thus, a Hillary Clinton presidency would, in essence, be the third term of Obama; furthering his “fundamental transformation” of America, implementing their liberal socialist/progressive agenda. Anyone opposing or criticizing the first “woman” president would be politically shackled, placed in stocks and humiliated in the public square for sexism. Suckered again by allowing their political enemies to set the rules of engagement, wimpy weak-kneed Republicans will surrender and give Hillary everything she wants; complicit in ignoring the Constitution and the best interest of We The People. In glaring contradiction of their well-crafted image as defenders of blacks and women, Democrats have a history of take-no-prisoner assaults on black conservatives. Democrats seek not merely to stop them, but their total destruction, insuring that their uppity black derrieres never dare challenge the liberal’s agenda again. The term “high tech lynching” was birthed out of the over-the-top vitriolic media circus created by Democrat and liberal media efforts to block black conservative Clarence Thomas from becoming a U.S. Supreme Court Justice. A liberal radio host called the first black Secretary of State, Condoleezza Rice an Aunt Jemima; claiming that blacks only have subservient roles in the Bush Administration. Imagine a conservative radio host calling a black Democrat politician an Aunt Jemima. Their career would be over. Then, with class and dignity Dr Rice endured the Attacks of the Racist White Liberal Cartoonists. Pat Oliphant and Jeff Danziger featured Rice with exaggerated big lips speaking in a rural southern dialect. In his Doonesbury comic strip, Garry Trudeau called Rice “Brown Sugar”. Was there push back from the mainstream media over the blatantly racist cartoons? Heck no. As a matter of fact, Universal Press Syndicate and the New York Times distributes these racist cartoonists. This is merely a glimpse into the Democrat’s horrific record of racism which is equally poor on sexism. Million dollar contributor to Obama, liberal Democrat Bill Maher, called conservative Sarah Palin a c***. Maher called Michelle Bachmann and Sarah Palin MILFs (Mother I’d Like to F***). Imagine what would happen to a conservative displaying such disrespect for a liberal woman. During a monologue, David Letterman took a cheap shot at Sarah Palin at the expense of her daughter. Letterman said Palin’s daughter got “knocked up” by Alex Rodriguez. Letterman also said Palin has the style of a “slutty flight attendant”. None of these outrageous mean-spirited sexist assaults on conservative women by liberals received meaningful push back from Democrats or the liberal mainstream media. In an unholy alliance, the mainstream media have duped low info voters into believing the Democrats are superhero defenders of blacks and women, protecting them from villainous evil white rich conservative Republicans. What a crock of you know what. Folks, the bottom line is liberal Democrats are not paragons of virtue fighting for the rights of blacks and women. Quite the opposite. They “use” blacks and women as pawns to further their agenda. Democrats can not be trusted with national security and restoring America back to it’s world leader status and economic glory. Like walking dead zombies, Democrats and their cohorts in the mainstream media are undeterred, totally focused on implementing the liberal socialist/progressive agenda and protecting the legacy of the first liberal “black” president. Such will be the case if Hillary wins the White House in 2016. Protecting the legacy of the first liberal “woman” president will trump everything including national security. Political correctness and identity politics are killin’ us folks. It is time to send common sense adult politicians to DC, free from the slavery of casting votes based on race, gender or political correctness. It is time to put America first!